So, my friend Marianne has already come and gone. She has a kid now, and she had to rush back and, I don't know, raise him. It kind of looks like Marianne is eating an internal organ, there, on her plate. I wonder if that woman reflected in the window is somehow gonna find this blog and sue me? Anyway, the way I know Marianne is, she and I met in Seattle right when I first moved there. We had both been dragged to a rugby game by a mutual acquaintance, and right there should tell you how desperate I was to make friends in my new town, because you all know what I huge interest I have in rugby. Not to mention it was JANUARY, so it was cold and rainy, which it always is in Seattle, but being January it was parTICularly cold and rainy. So this mutual acquaintance, it turns out, was really. really. attracted to rugby players, and I don't know if you have ever been to a rugby game, but about 14 times in a rugby game someone's head splits open and their medulla oblongata flies onto the field. The mutual acquaintance, who was clad in basically pasties and a g-string in January in Seattle, would make out with the pieces of bones and medulla oblongata as they gathered on the field, so enamored was she of rugby and rugby players. Marianne and I, who did not know each other, stood there for about, oh, seven minutes before she turned to me and said, "Want to go to the car and drink all the beer?" "Yes," I said. "Yes. I absolutely do." And that was it. We were the best of friends the rest of the time I lived in Seattle. It turns out that Marianne was from North Carolina and she eventually moved back here, and she lives outside of Charlotte, so we see each other from time to time. She hadn't yet been to my house yet, or met my new pets. She was happy to see Mr. Horkheimer again. 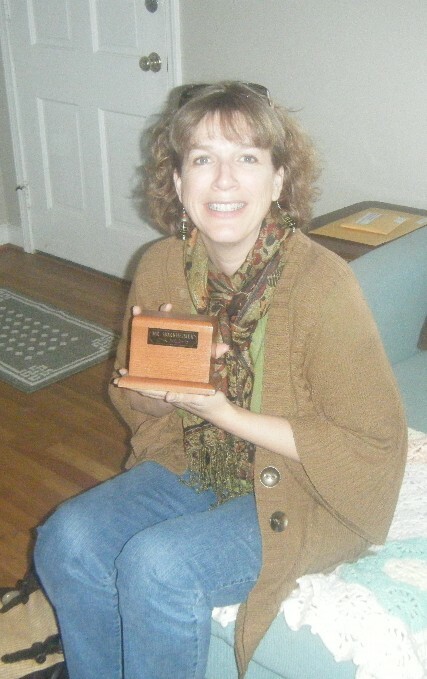 Okay, I know I am a terrible person to bring her Mr. Horkheimer's ashes and make her pose with them. I never promised you a rose garden. which didn't really work. 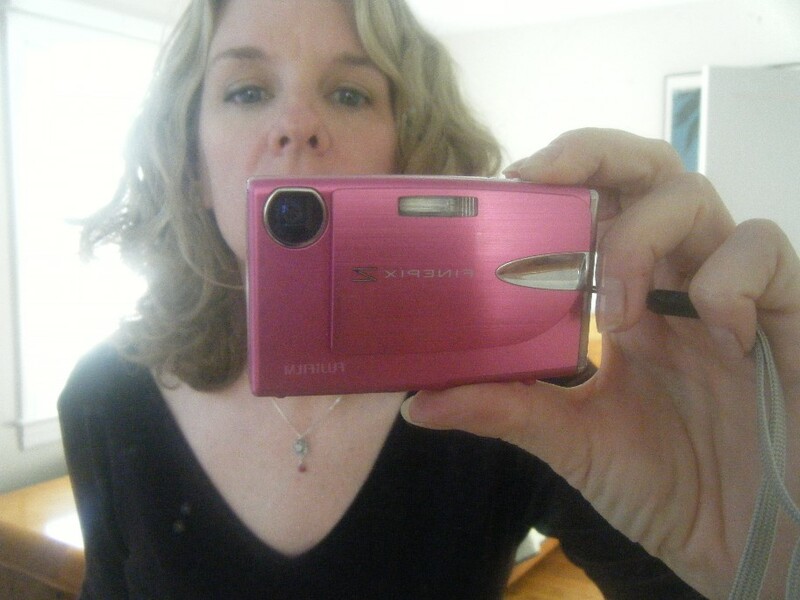 Then, finally, it occurred to me that I could TAKE THE NECKLACE OFF and take a picture of it that way, and did I ever mention my father was a professional photographer? Isn't it pretty? I don't even know what it is. A pomegranate? I dunno. Okay, anyway, I know I have a lot to get to and I have gone on forever and you probably have had to pee for the last 20 minutes and I haven't done Ask June or Special of the Week yet. Go pee, already. I'll wait. 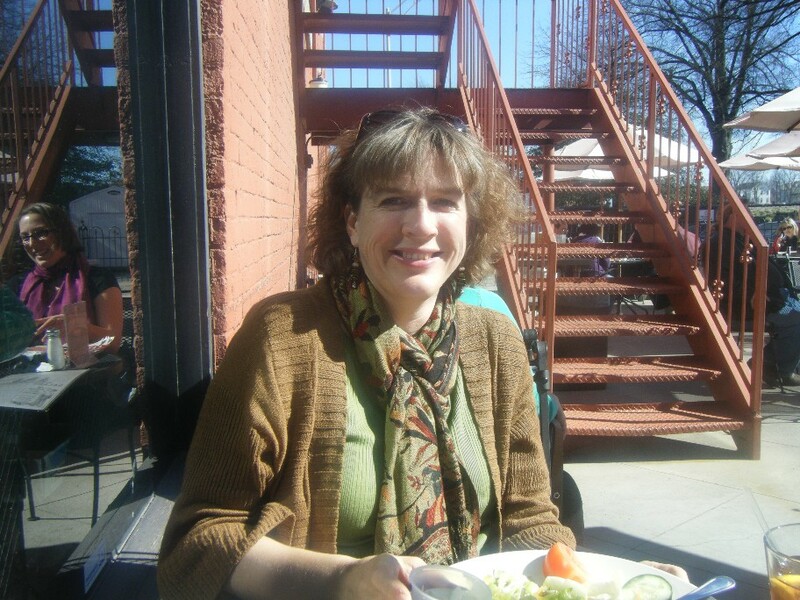 Bonnie asks, If you couldn't be a proofreader, what would you do instead? If I am not mistaken, Bonnie is a journalist, which is obvious because she asks interesting questions, I think. And I will tell you what, Bonnie Blue Butler. (Seriously, I have issues. Can I go TWO SECONDS without Gone with the Wind? TWO SECONDS. That's all I ask.) I'd be a housewife. I'm seriously not kidding. You know that whole feminist movement, when women started saying they felt unfulfilled "just" being at home? Oh! That sounds HEAVENLY to me! I would LOVE to make everything pretty, and learn to cook fabulous things, and make myself all hot when Marvin got home. I am not even kidding. And my mother is hanging herself right now. But seriously, that would be my dream occupation. That or trophy wife. Mom has now cut off all communication with me. Cristy says, I have a friend who was an English major in college. We were debating the correct way to write the phrase "The 'nos' have it." (Referring to people voting 'no' and thus winning whatever they were voting on.) He INSISTED that 'nos' should have been 'no's'. I was about ready to throttle him. Seriously. Well, Cristy, I certainly understand the part where you wanted to throttle him. Or shove his little apostrophe somewhere quite uncomfy. And for years I would have said you were absolutely, 100% correct. But this is reminiscent of last week's (was it last week? I don't know. The recent) query from Pal from MA re 1920's/1920s, where I said there are certain reputable style guides that actually condone the use of apostrophes with things like no's, simply for clarity's sake. I know it's dreadful. I know that "no" does not own anything. I know it's not short for "no is." I know you want to join my mother in a large glass of whiskey right now. What can I tell you? Let's shake that Helsinki, Nine Inch Nails, Pink Floyd Ask June off and go stampeding straight to Special of the Week, where as I told you I had many, many funny comments to consider. The day we all wrote in and said what the number one song was the day we were born was chock full of funny things, and I would like to give a special mention to Beth, whose song was Good Lovin'. She likes it when they call the doctor "Mr. MD." For some reason that just tickled me. I'd also like to give a special mention to Catherine, because she had the coolest birth song. Tequila, folks. Now, come on. If Pee-Wee has danced on a bar to your song? Also, (I TOLD YOU there were a lot), when I asked for suggestions for my Valentine's Day song CD, Lenette said, "Surely Marv has some Carpenter's love songs you can lift. That always gets the party started." But the big award, the award everyone hopes and dreams of getting, the one you stand in front of your mirror doing fake acceptance speeches for, goes to Faithful Reader Jan this week, for her beautiful rundown of things you see on bad made-for-TV movies. Well done, Jan. Stand proud in your beige pantsuit. And of course J said something funny this week. Okay, this is the longest post EVER. After I said I wouldn't do long posts. I hope you didn't have anywhere to go this weekend. And I'd just like to say I love myself for calling this "Ask June's Thai Chicken," then never mentioning my Thai Chicken. That's some tidy writing, right there. Next Post I just met a girl named Maria. If by “just met” you mean in 1979. Oh I am so with you on the housewife thing. I would love to be home all day cooking beautiful things and growing my own vegetables and maybe I’d even do some cleaning. I sometimes kid myself that I will do all those things when I leave work to have children but I know that that is crazy and I will instantly give up all my good intentions to never buy ready-made baby food or disposable nappies. Oh, June! You’re a card! On the side?!! hee hee hee! Love it! 🙂 If I had pink hearts and emoticons I’d put them right on here!! Bronwyn, above, likes your box. Dear June, I have proclaimed you ash expert and I need your advice and wisdom. Where exactly do you keep Mr. Horkheimer’s ashes? It appears that my dear son-in-law is still schlepping his dad’s ashes around after two years. For at least a year, the cardboard box (not even an urn or hand crafted box such as your kitty warranted) was tucked on a shelf in the basement of his deli. How distasteful! Not to mention how freaked out their employees were. When he bought his new home, he planted a tree in the yard and we all thought “YAY! He’ll put his dad in with the roots.” How symbolic, we said, and yet, a good source of fertilizer. Then, my s.i.l. carried the box in the truck of his car all the way from Maine to Detroit, Michigan, last fall, but was emotionally unable to cast the ashes anywhere in that state either. So there is poor Jim, reduced to powder and dragged from state to state, basement to truck, all for want of a little everlasting peace. What to do, June? Do you think Mr. Horkheimer would like a buddy? Does the idea of a collection of little boxes of ashes appeal to you at all? regarding point E): my car was REALLY messy. the can of black beans wasn’t actually rolling around so much as it was wedged under the passenger seat by empty diet coke cans and taco bell bags. Make out with the medula oblengata? ha! What I am saying is, some style books say is is okay to say “The no’s have it.” Which I think is just awful. And I am only saying “Love” because you said I looked skinny. Otherwise I’d be saying “Annoyedly, June.” Which isn’t a word. Look at the big brain on Brad. and could you BE any skinnier in your photo? Somehow I didn’t get the answer to the “No’s” question (don’t kill me!). http://french-rugby-players.com/ (and yes you’ll see loads of nekked skin :)) or their D&G publicities hanging around in the metros in France. I thought that was a sweet potato and cabbage on her plate. Only a true southerner would think that, huh. After all you are in North Carolina. I so agree with you wanting to be a housewife. I worked for almost 40 years outside my home and I’m so thrilled to finally just be a housewife. I love it. Please beware of friends offering bites of internal organ salad! Word on the street is that clever carnivores frequently use appendices as gateway proteins to sway vegetarians back to the dark side. It’s totally important to have friend who will drink beer with you while your slutty friend has to clean up brain matter. it looks like a nose on her plate in photo one. Photo 2 is a forced smile so she had issues with Mr. H. that you were not aware of. Nice box. 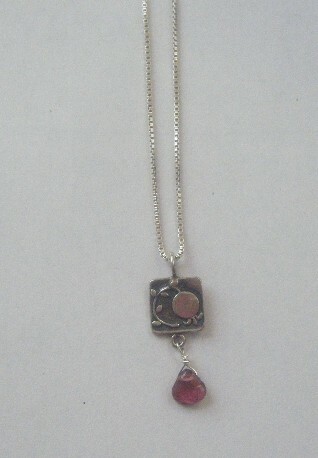 I like your necklace…it’s so you! That’s all you needed to feel invigorated, that and time with an old friend and maybe an MSG buzz from the chinese food. It 50 degrees here and i felt like dancing in the street but, opted to buy a some DVDs instead. All three of them for under five bucks each and they are all load with plenty of extras. She had appendix salad ON THE SIDE! BAHAHAHAHAHAHAH! Oh, and in the 2nd picture of Marianne? She looks like she could be your momma’s sister. Dontcha think? What were on Marianne’s plate if they were not organs? Looks to me like she’s having an appendix salad. Yumm.